India’s largest crowdfunding site. Over $78 Million raised. “We hoped for best things for our baby. 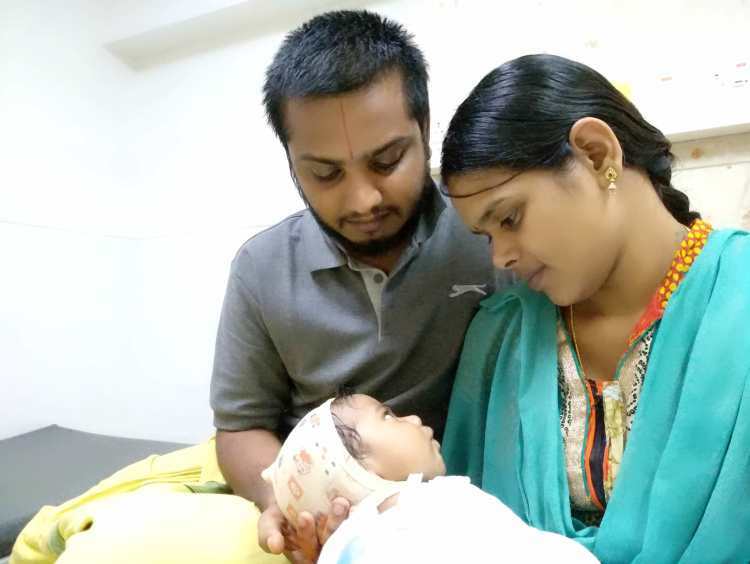 But in just a week they told us that his heart was defective – leaking blood into his small lungs.” -Vamshi, the baby's father. Vamshi and Kalyani had a baby boy just two months back. In just a week, they found out that their baby had a deadly heart defect. Their baby's life is in danger till he gets a small surgery that reduces excessive blood flow to his lungs. This will keep him alive long enough to get a corrective treatment. 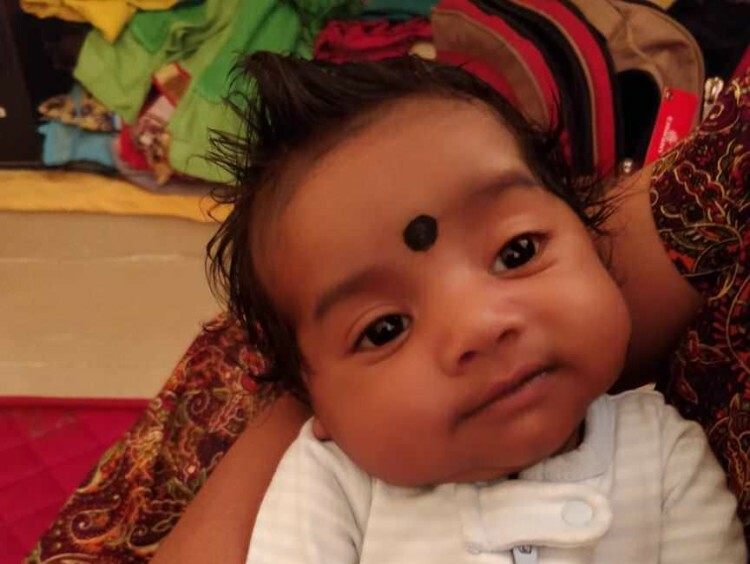 They have not formally named the baby yet – but they call him Komal Narayan. It was a name lovingly picked by an elder in the family. 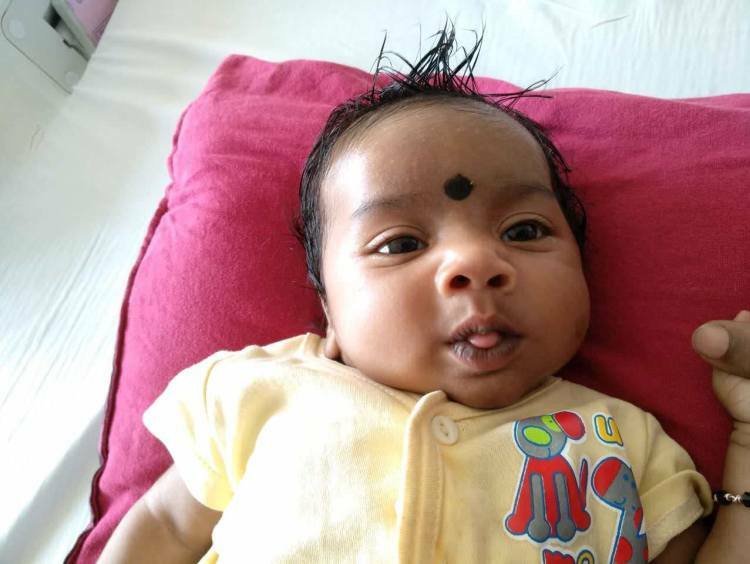 It is a name that the parents of this baby – Vamshi and Kalyani – hope bring him luck. His parents believe that despite his heart defect, the baby shows a strong will to live. “He breathes hard – like he has run. It reminds us that our little, happy baby can be taken from us. But otherwise – he has gained weight. From the last 10 days, he started smiling at his mother too. 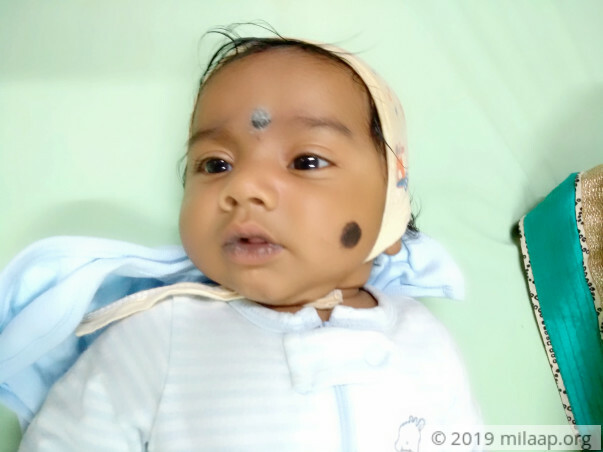 Despite what the doctor says, we both feel that if our baby can smile – surely he can survive after the surgery,” says Vamshi. Vamshi decided to become a priest because his entire family is engaged in performing poojas. He dedicated his life to studying the Vedas and educating others about what it says. He even works with an academy to preserve ancient palm-leaf manuscripts. Unfortunately, his only income comes from performing poojas – an uncertain source of money for the family. “We live in the premises of an ashram that takes care of most of our needs. I conduct poojas, take classes on the Vedas and help preserve and digitise old texts. In a month – I can earn up to Rs 8,000. We led a simple life – we never thought we would need more than that,” Vamshi explains. Everyone in Vamshi's family is engaged in the same profession and no one is in a position to help him. 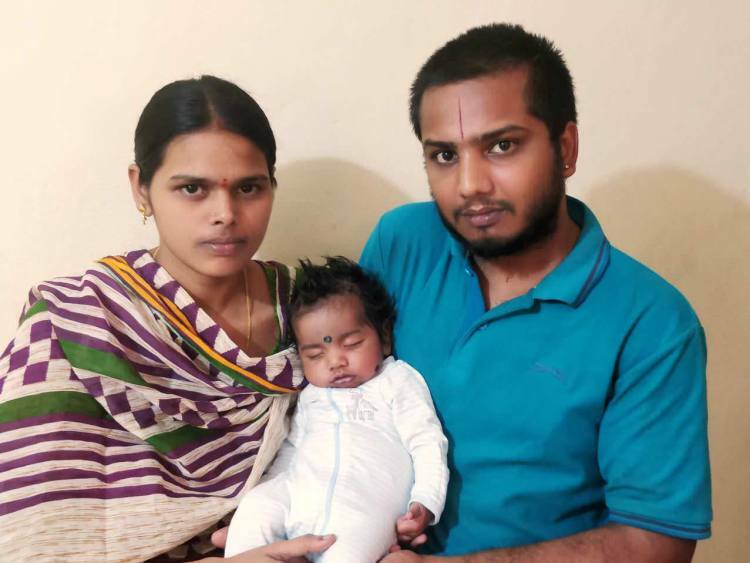 He has already spent Rs 1 lakh on treatment and has nothing left to pay for the surgery that will ease the baby's breathing. Without surgery, the baby's life is at great risk. Kalyani is still recovering from the c-section for the baby's delivery. She spends her entire day lavishing care on her baby – hoping to make him as comfortable as possible. The young couple is scared of what might happen to their baby if he is not treated. The baby's health can deteriorate badly at any time. His heart is pumping excess blood to his lungs which can lead to his lungs filling up with fluid. He needs a minor PA-band surgery – that will control the blood flow to his lungs. This surgery will keep him alive, until he is strong enough to have corrective treatment. Your contribution can help these parents save their baby. 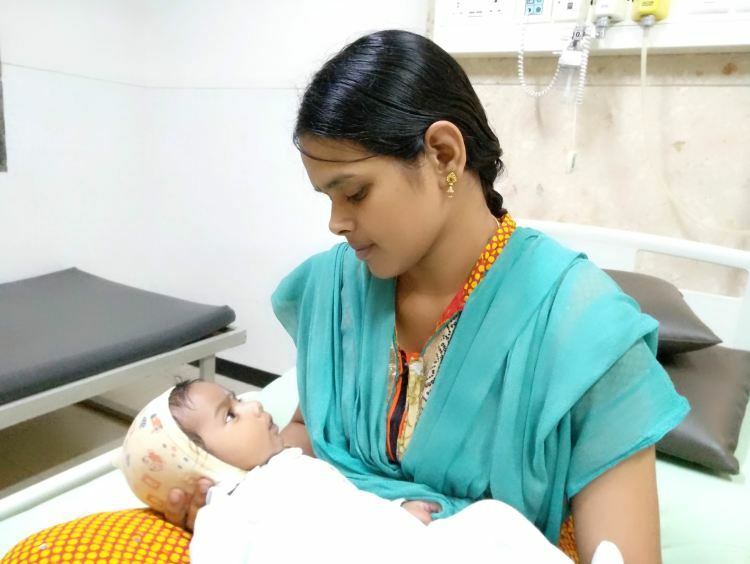 Baby of Kalyani is doing well. Recently, the baby has celebrated his 1st birthday. The family is very thankful to all the donors. They are coming for the hospital for the regular follow-ups. The kid is doing well now. 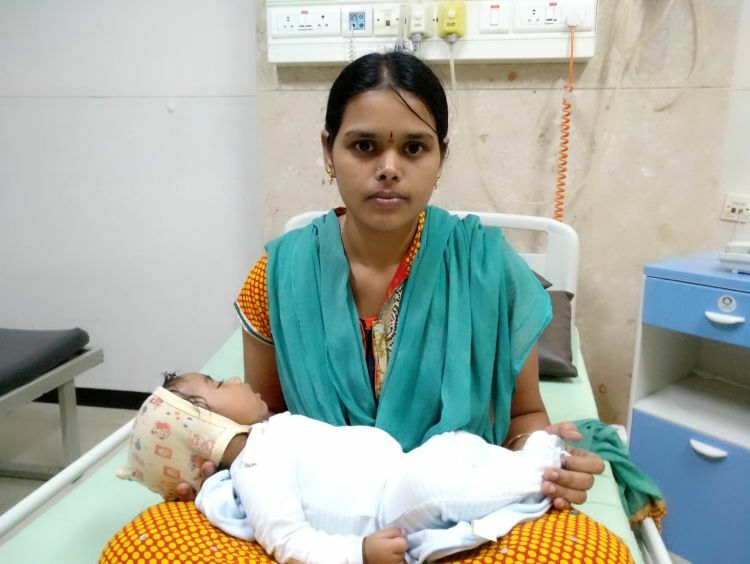 Thank you for the wonderful support you have shown baby of Kalyani. Here is a quick update for you all. 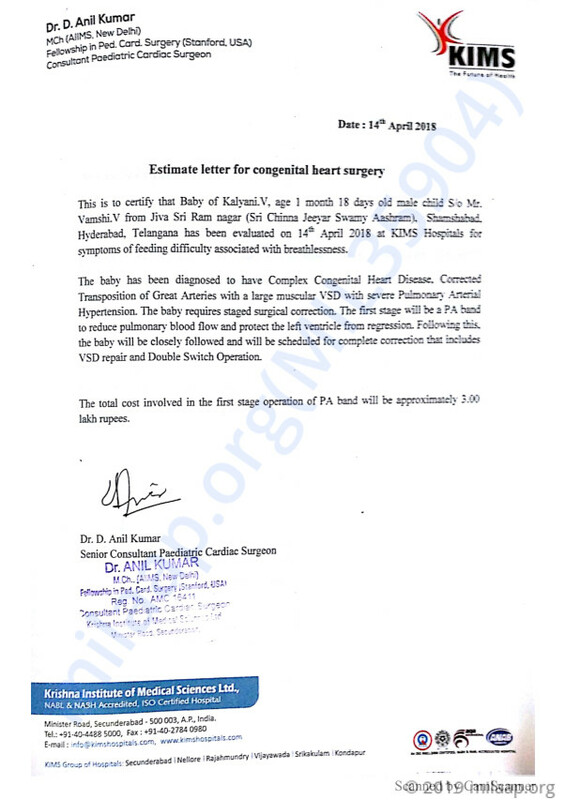 Baby of Kalyani has responded well to the treatment. Now, the baby does not require any oxygen support and can breathe on his own. The baby has been discharged from the hospital and has to visit the hospital for routine check-ups. Would like to thank all of you for the love and support. Thank you all for your support. Here's an update on the baby's health. 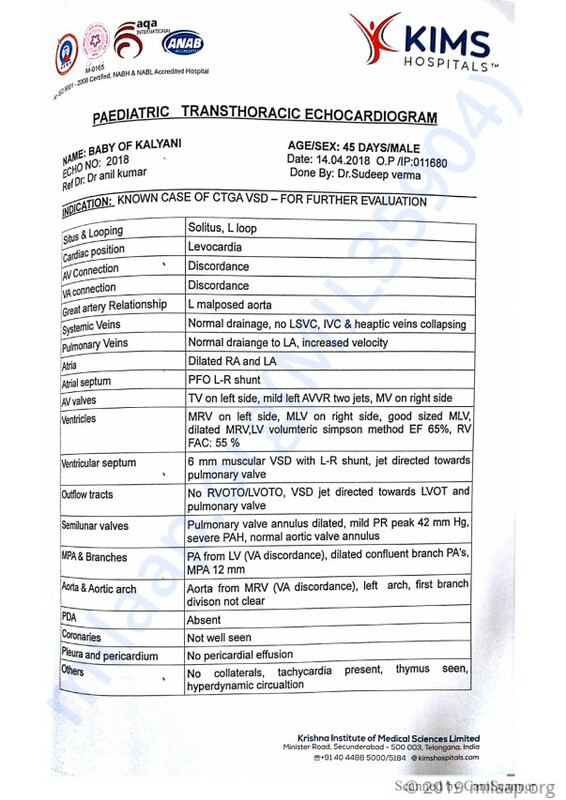 We had to re-admit the baby of Kalyani for upper airway issue that may have happened because of the mild infection he had developed. As suggested by the doctors the baby will still under observation for the coming few days before they decide if any further action is required. Thank you for your support up till now, we shall keep you all posted. Please pray for the baby's speedy recovery.